I’ve always loved the story of The Pied Piper of Hamelin. I first got to know it through the wonderful Robert Browning poem, which I knew by heart when I was about eight and which I still remember. It is of course the rats that stay in the mind: fighting dogs, killing cats, biting babies in their cradles and eating soup from the cooks’ own ladles and so forth. I also like the natural justice of the story: the mayor made a promise to the Pied Piper and he broke it. He ought to have known that disaster would follow such behaviour. I think children respond to this; you will reap what you sow is a tough lesson to learn and this fable teaches it in a very dramatic way. The Pied Piper is also very dramatically dressed … that always helps a story along most beautifully. It wouldn’t be the same story if he were dressed simply in a green tunic, say. I chose this story to tell when the OUP TreeTops Greatest Stories project was first mooted because I thought it was one that lent itself to a simple retelling. It’s not complicated and can be understood by even the youngest children. It has very few characters. The rats, I knew, would make the illustrations nicely sinister and I was very lucky indeed that Ian Beck agreed to add his delicious drawings (creepy yet humorous at the same time) to my words. The figure of the Pied Piper himself is a mystery and as we know, there’s nothing better for a story than a really good mystery. In this case, the question is: who is he? Where does he come from? At first, he seems simply a stranger arriving in Hamelin and eager to help, but then mountains open up for him and every child in the town except one disappears. 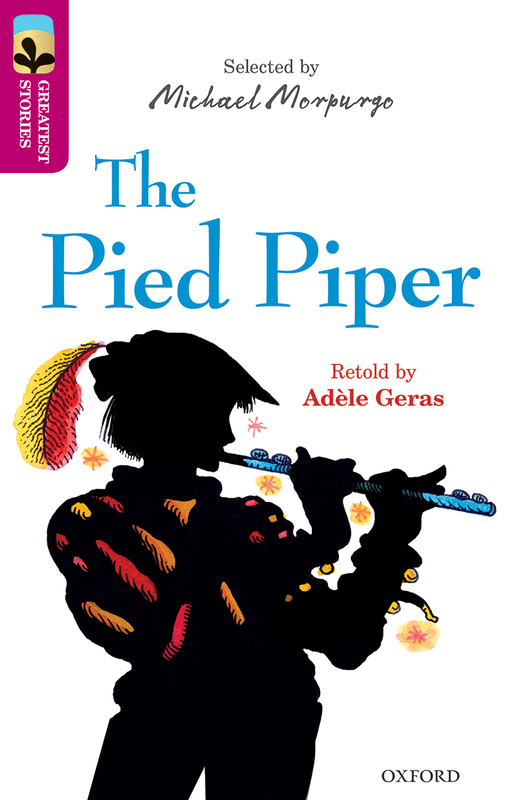 It’s the sudden realization that the Pied Piper is more than he seems to be at first, that he’s a supernatural force, and not a country musician, which makes us shiver at the end of the story. The message is clear: be true to what you promised. Do not try to trick and cheat. Be straight in all your dealings or the consequences will be dire. The main challenge I faced when adapting the story was to make it somewhere near as good and exciting as the Browning poem of the same name. I do hope all children who read my version will be led on to what I still think of as The Real Thing.